(JTA) — Lithuanian soldiers pitched tents on the grounds of a former concentration camp for Jews in Kaunas, where they are training to fight Russian troops. The troops pitched tents on the grounds of the former concentration camp. The report did not say whether the deployment included a kitchen and latrines. Questions by JTA about the exact nature of the deployment were not immediately answered by the Lithuanian foreign ministry. 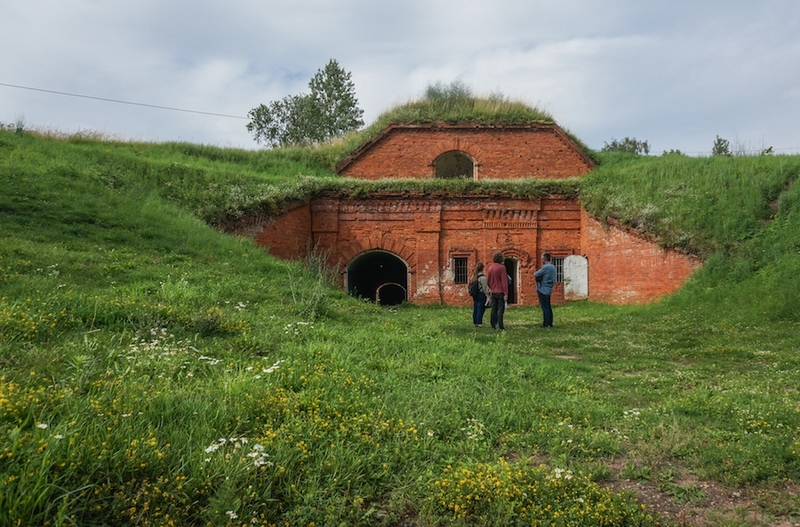 Privatized by the government in 2009, the Seventh Fort, a disused 18-acre red-brick bunker complex, is run by a nongovernmental organization headed by Vladimir Orlov, a 38-year-old amateur historian and military enthusiast. His organization charges entrance fees to the grounds, where it operates summer camps for children and hosts private events. Revenues are used for the site’s preservation as an educational institution where the genocide is taught, alongside Lithuanian military heritage, Orlov told JTA last year. He declined to say how much revenue the site generates and how much is spent on commemoration. The remains of 5,000 murdered Jews are buried at the fort in mass graves that are marked by a few poles and rocks. Relatives sometimes visit the site to light candles in memory of the dead. The Jewish Community of Lithuania last year said the privatization was a “huge mistake” that happened despite its stated opposition. Like the other two Baltic states, the Lithuanian government’s concern about the expansionist policies of Russia has prompted it to update its own defense capabilities. This summer, thousands of troops trained with NATO contingents across the country.